I guess it takes quite a bit of nerve to start a concert with such an undemonstrative piece as Lyadov's The Enchanted Lake. 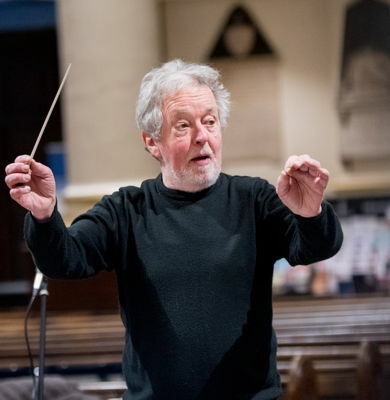 But Derby Concert Orchestra and Assistant Conductor Ed Temple grasped the nettle, entering fully into the work's compelling, atmospheric stillness - Derby Cathedral, Derby, UK, 9 March 2019. Though the harp and percussion contributions were occasionally a little too forceful, the alchemy by which Lyadov holds our attention for eight minutes or so in which, apparently, nothing happens remained as satisfyingly mysterious as ever. In his ballet The Fairy's Kiss, with its scenario based on Hans Christian Andersen, Stravinsky drew on little-known early songs and piano music by his beloved Tchaikovsky. But he still can't help being Stravinsky even when meeting the older composer half-way. Temple and the orchestra gave a sharp, incisive account of the Divertimento he arranged from his complete score as a concert suite, keeping it very much on its balletic toes. The Swiss Dances had an agreeable earthiness, and the quick waltz, rightly, was more music-hall than ballroom in feel. The performance slightly lost its grip in the Scherzo, but was soon back on track, for a nicely pacy account of the concluding Pas de Deux. Principal Conductor Jonathan Trout took over for Rachmaninov's Symphony No 2 in the second half. The first movement's slow introduction always felt as if it was going somewhere, leading to a purposeful account of the main part of the movement. While the second movement felt a little weightier than sometimes, the ending was handled with a nicely light touch, as the masqueraders (as I tend to imagine them) stole away into the night. 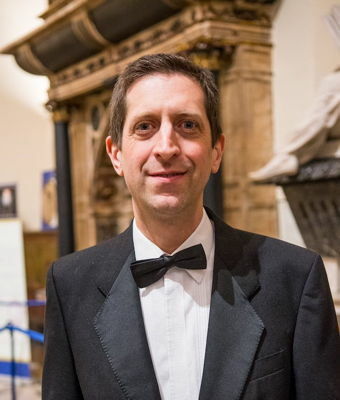 The performance firmly positioned the slow third movement as the symphony's centre of gravity, with the big clarinet solo near the start eloquently phrased by Rob Politowski, and a glowing tranquillity settling over the final pages. The finale had a sense of exuberant eagerness; though the climactic accumulation of bell-like falling scales slightly pulled its punch, the characteristic adrenalin-rush ending was delivered with whiplash precision.